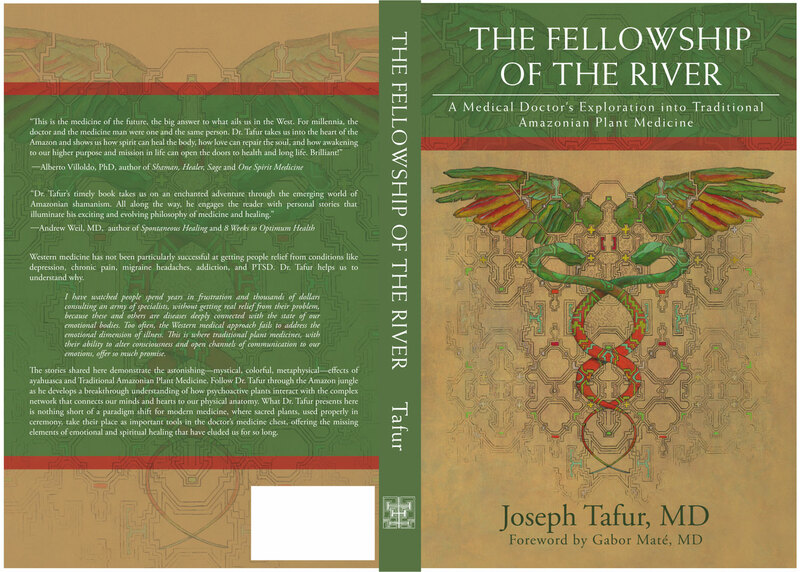 It is with much pleasure that we welcome our AoM for May, Dr. Joe Tafur, with The Fellowship of the River: A Medical Doctor’s Exploration Into Traditional Plant Medicine. Dr. Tafur bridges modern western medical understanding with the profound world of shamanic healing, drawing on empirical evidence he collected while in the Amazon. Have you ever gone to the doctor for something you were concerned about, and then been told “everything’s fine, it’s all in your head”? Well, sometimes it is all just in your head, and other times, it’s something more. I remember going to the doctor when I was in medical school. I hadn’t been feeling well and had some rather vague, subjective complaints. Most of all, I was worried about my breathing, my lungs felt stiff, and I couldn’t take a deep breath. The doctor examined me, then ordered a chest x-ray and a few labs. Objectively, everything turned out to be within normal limits. He told me that I had “medical school syndrome” and not to worry too much about it. Although this was somewhat comforting to hear, I didn’t feel any better. My problem was beyond the scope of blood tests and x-rays. I was soul sick, spiritually ill. In our brief visit, the doctor didn’t ask me too many questions about how I felt inside, in my heart. I can’t blame him. Most likely, he wasn’t trained to consider those things. I should know, I’m a medical doctor. But first, I am a living human being, and as it turns out my breathing problems were related to my mental health. I was depressed in medical school. To get better, I would need to venture outside the confines of established medical care. I needed spiritual healing. Sacramental plant medicine helped me to find what I was looking for and opened my eyes to the power of spiritual medicine. 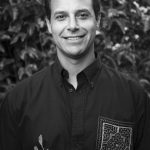 In my new book, The Fellowship of the River: A Medical Doctor’s Exploration into Traditional Amazonian Plant Medicine, I share the story of my journey: from my struggles in medical school, to peyote ceremony in Arizona, to ayahuasca healing in the Peruvian Amazon, to training in ayahuasca shamanism. Through a series of stories, I share some of what I learned in my years of experience at the traditional healing center Nihue Rao Centro Espiritual. During my time in the Amazon, I witnessed hundreds of Westerners, primarily from North America and Europe, benefit from traditional treatment with shamanic plant medicine, the course of their lives altered by powerful visions and shifted perceptions. In my book, I share some of their healing stories, demonstrating how shamanic plant medicine and related spiritual techniques can help to heal many modern maladies and diseases—from post-traumatic stress disorder (PTSD) to chronic cough to Crohn’s disease to anxiety and depression to a number of other psychosomatic conditions. In the United States, as a physician, I have watched people spend years in frustration seeking treatment for these very same problems and related ailments. Despite spending thousands of dollars and consulting an army of specialists, many do not get to the root of their problem. Too often, the Western medical approach fails to address the emotional and spiritual dimensions of these chronic diseases and related illnesses, seeing them only as physical conditions. Shamanic plant medicine heals by going deeper into the emotional and spiritual realms; like other forms of spiritual healing, it works by altering our consciousness. As suggested by author Stephen Buhner, the mind is opened beyond the illusory limits of its current operating software. The mind is opened to the heart and to the energies that disturb our emotional being. Ayahuasca, as you may be aware, is a sacred plant medicine of the Amazon rainforest. Although it is not a panacea, modern clinical research has verified ayahuasca’s anti-depressive, anxiolytic and anti-addictive properties. Our growing body of knowledge in the fields of mind-body medicine, psychedelic medicine and epigenetics is helping us to understand how this spiritual plant medicine promotes such healing. For millennia, traditional medical philosophies like shamanism have described the presence of an “emotional body,” through which we experience emotion and feeling. Modern science has also encountered this emotional body and is now able to describe its anatomy, a complex network that connects our psychology, our nervous system, our endocrine system, and our immune system (the psychoneuroendocrine immunologic network – the PNEI Network). Emotional trauma and “spiritual wounds” impair this network and, in turn, compromise health. The emotional body (the PNEI network) helps to bridge mind and body. Unresolved emotional trauma is stored within this network and, there, disturbs mental and physical function. Such disturbances manifest in a variety of problems, ranging from mental health illness to some forms of inflammatory disease. In the book, I share the story of Russ, a Vietnam Veteran, who had been suffering with post-traumatic stress disorder (PTSD) for decades. After years of psychiatric medication and therapy, multiple elements of Russ’s emotional body (PNEI network) were still disturbed. PTSD sufferers struggle with bouts of fear and anxiety (Psychologically), an over reactive fight-or-flight response (in the Nervous system), abnormal adrenaline and cortisol levels (in the hormonal/Endocrine system), and out-of-control inflammation (in the Immune system). After treatment with Traditional Amazonian Plant Medicine and ayahuasca shamanism, Russ improved dramatically, physically and mentally. He no longer needed his prior psychiatric medication. Once back home, he continued his work, mending past relationships and healing his past. Years later, he continues to thrive. The shamans have long known that when the emotional body is sick, the physical body cannot get well. Shamanic plant medicine gives us access to the mystical realms of the spirit, where we can find and heal these deeper wounds and release emotional burdens. Thus, emotional health returns and along with it our innate ability to heal mind and body. In chronic diseases in which the emotional body is ill, lasting healing will not be achieved until we address the needs of the heart and soul. From the traditional shamans, I learned that spiritual healing works, in part, by cleansing traumatic energies from our past. As my training progressed, it became clear that this mystical work encouraged emotional healing. This emotional healing often led to notable changes in the mind and body. As a doctor, I wanted to understand how mystical techniques could alter the emotional body, the PNEI network. I theorize that shamanic healing works through the emotional body, altering biochemical imprints in the PNEI network. Maladaptive emotional memories and imprints accumulate within the emotional body, contributing to emotionally-rooted disease. At the cellular level, this happens within the epigenetics, where external or environmental factors switch genes on and off and affect how genes are expressed. Our emotional experiences affect our epigenetics and in turn the way our genes are expressed. Altering epigenetics through emotional healing allows for physiologic change in the brain and body. Shamanic approaches interact with the emotional body energetically. In this way, shamanic approaches help to heal dysfunction in the emotional body, by helping to clear maladaptive emotional imprints from our epigenetics. In The Fellowship of the River, I explain these theories further, through healing stories. In the presented cases, I demonstrate how spiritual healing techniques can generate physical improvements even in physical symptoms associated with migraine headaches, psoriasis and inflammatory bowel disease. Spiritual well-being is reflected in emotional health. Shamanism meets allopathic medicine in the process of emotional healing. I learned this studying in the rainforest with traditional healers. 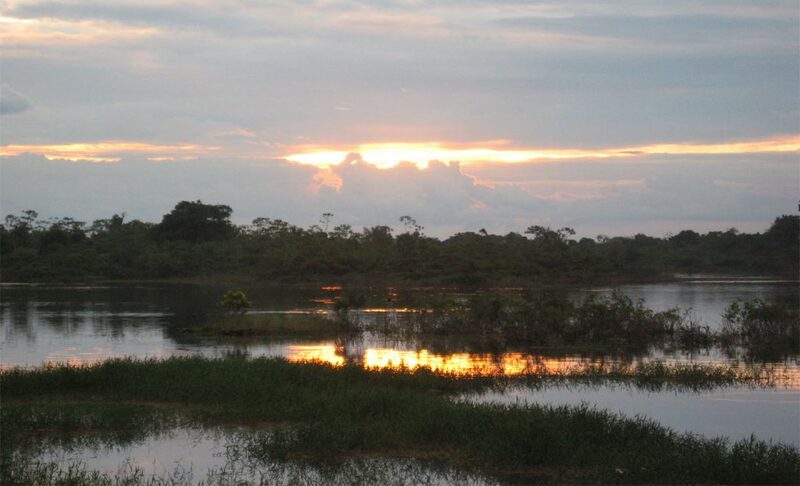 Join me on a trip down the Amazon, and I’ll show you what I mean. Black, PH. Stress and the Inflammatory Response: a Review of Neurogenic Inflammation. Brain Behav Immun. 2002 Dec;16(6):622-53. McGowan, PO. Epigenetics in Mood Disorders. Environ Health Prev Med. 2008 Jan;13(1):16-24. Mausbach, BT, et al. A 5-year Longitudinal Study of the Relationships Between Stress, Coping, and Immune Cell Beta(2)-adrenergic Receptor Sensitivity. Psychiatry Res. 2008 Sep 30;160(3):247-55. Mathews, H, and L Witek Janusek. Epigenetics and Psychoneuroimmunology: Mechanisms and Models. Brain Behav Immun. 2011 Jan; 25(1):25–39. Daskalakis, NP, et al. Endocrine Aspects of Post-Traumatic Stress Disorder and Implications for Diagnosis and Treatment. Endocrinol Metab Clin North Am. 2013 Sep;42(3):503-13. Lindqvist D, et al. Proinflammatory Milieu in Combat-Related PTSD is Independent of Depression and Early Life Stress. Brain Behav Immun. 2014 Nov;42:81-8. Buhner S (2014). Plant Intelligence and the Imaginal Realm. Rochester, Vermont. Bear & Company. Smart, C, et al. Early Life Trauma, Depression, and the Glucocorticoid Receptor Gene— an Epigenetic Perspective. Psychol Med. 2015 Dec;45(16):3393-410. Dos Santos, et al. Antidepressive, Anxiolytic, and Antiaddictive effects of Ayahuasca, Psilocybin, and Lysergic Acid Diethylamide (LSD): a Systematic Review of Clinical Trials Published in the Last 25 Years: Antidepressive Effects of Ayahuasca, Psilocybin, and LSD. Ther Adv Psychopharmacol. 2016 Jun;6(3):193-213. Dennis, PA, et al. Examining the Crux of Autonomic Dysfunction in Posttraumatic Stress Disorder: Whether Chronic or Situational Distress Underlies Elevated Heart Rate and Attenuated Heart Rate Variability. Psychosom Med. 2016 Sep;78(7):805-9. Verburg-van Kemenade, BM, et al. Neuroendocrine-Immune Interaction: Evolutionarily Conserved Mechanisms that Maintain Allostasis in an Ever-Changing Environment. Dev Comp Immunol. 2017 Jan;66:2-23. Dr. Tafur’s book is a path-finding journey through interdisciplinary territory that must be explored if we are to heal individual human beings and human society. Essential reading for just about everyone.